The Hillsdale County Community Foundation is honored to have two dedicated community leaders join the organization as the newest members of our Board of Trustees. The Community Foundation is pleased to have Chuck North and Maxine Vanlerberg, talented and dedicated members of the community, on board. Chuck North joins the board from the Reading area. Chuck, whose hobbies and interests include health and fitness, family time, reading, and traveling, is the Superintendent of Reading Community Schools. Chuck has been at Reading Community Schools since 1992, having served in several positions and leadership roles since his graduation from Central Michigan University. Chuck and his wife Julie have one daughter. Maxine Vanlerberg is a lifelong resident of Hillsdale County. Her career has included 25 years in private manufacturing, six years as a Hillsdale County Commissioner and 10 years as the Hillsdale County Director of the Community Action Agency. Maxine and her husband Bob have two sons, six grandsons, one granddaughter and two great grandsons. Maxine and Bob enjoy traveling all over the United States and the world. Maxine’s hobbies and interests include spending time with family, reading, sewing, scrapbooking, and card making.  The Hillsdale County Community Foundation was established in 1991 “For good. For ever.” As a community grant-making foundation, it provides seed money to organizations and institutions that have identified problems and have designed constructive action programs aimed at solutions. A majority of the Foundation’s grant making is focused on the areas of youth, leadership, philanthropy and volunteerism.